Thanks to Penquis CAP and their “We’ve Got Your Back” program, we are feeling a bit more ready for school. 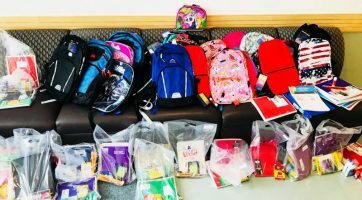 Our community partner donated 23 backpacks and accompanying school supplies for us to distribute to those in need. What a great message during back to school season – sharing is caring.